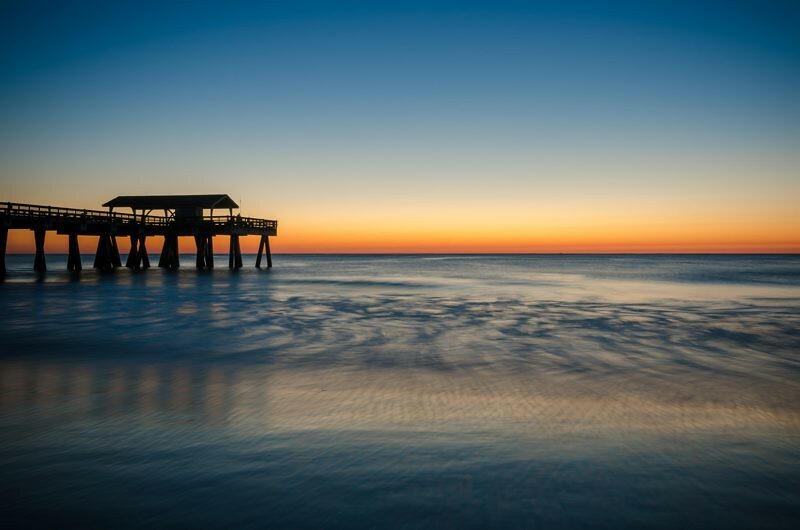 Filming Locations: Where was Baywatch filmed? 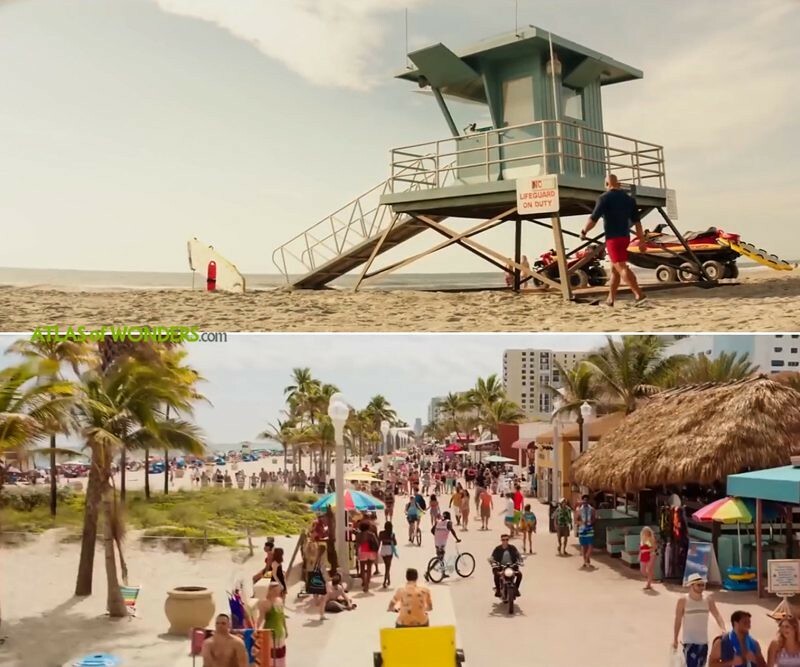 As many people is wondering where is located the beach from the 2017 Baywatch movie, we've done our research to bring you the most relevant filming locations of this new summer blockbuster based in the '90 series. Starring Dwayne Johnson (Fast & Furious, Jumanji) and Zac Efron (17 Again, High School Musical), the film includes the indispensable honor cameos with David Hasselhoff and Pamela Anderson. Baywatch was also filmed on Tybee Island beach (Georgia), on the north and south end of the waterfront. The chasing scene with jet skies was shot near Estill Hammock Marina, also in Tybee Island. 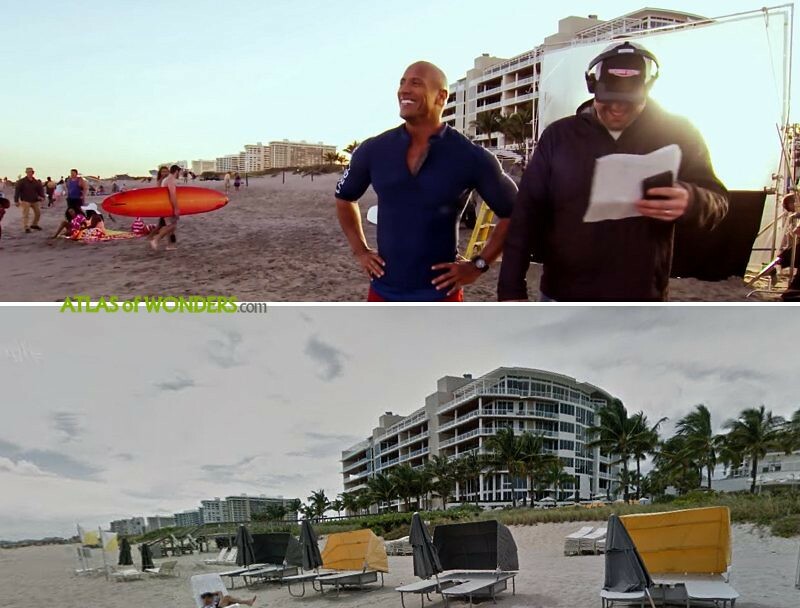 The opening scene was filmed at Boca Raton Beach, Florida. The One Thousand Ocean building near Boca Raton Inlet can be seen in several scenes. 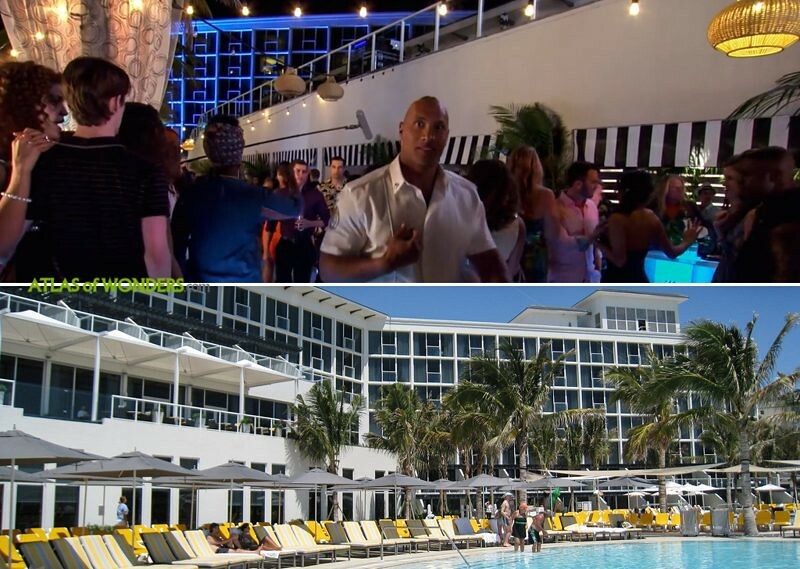 The party and other scenes were held at the Boca Beach Club. Can you help to improve this article about the filming locations of Baywatch? To complete and correct this report, any feedback, info or images that you may have are more than welcome, thank you! I was checking this area on Google Earth and when finding the round hotel - Pier 66 Marina, I backed up south to the area of 15th St Fisheries. Right across the channel to the east is the Yacht they used in the movie. The Star Ship is docked right there.